Our Lawyer Search Script giving best experience to the business people who are ready to manage attorney directories in this client may rise queries regards the issue in question forum, an attorney will give advice to clients through admin panel. Finding an attorney is somewhat difficult so that I wish to say Mock Trial Script will be perfectly suits to list the lawyers list through our Law Office Management Script. One can sustain lawyers directories from various departments databases like contact info, clients reviews and ratings, examine endorsement etc. through this features user will chosen best lawyers from ratings. An ideal option to book a lawyer through online is the readymade solution for you in a business module with user friendly features; our Lawyers Directory php Script is the dead end problem solving script for all Law Firm business. Filter refine search features will collect exact information about the lawyers based on your query. Admin can manage lawyer details, lawyer court, and legal query as the turnkey for startup professional business with user friendly system, social media integration and manage trouble-free appointments. On purchasing our Lawyer Management Script what you see in design and development we will install and configure within 24hours including social logins and sharing again I like to remained that our script gives you responsive bootstrap design with reduced load time that support all cross browsers. If you still have any queries, feel free to contact us. We would be happy to help you further!! 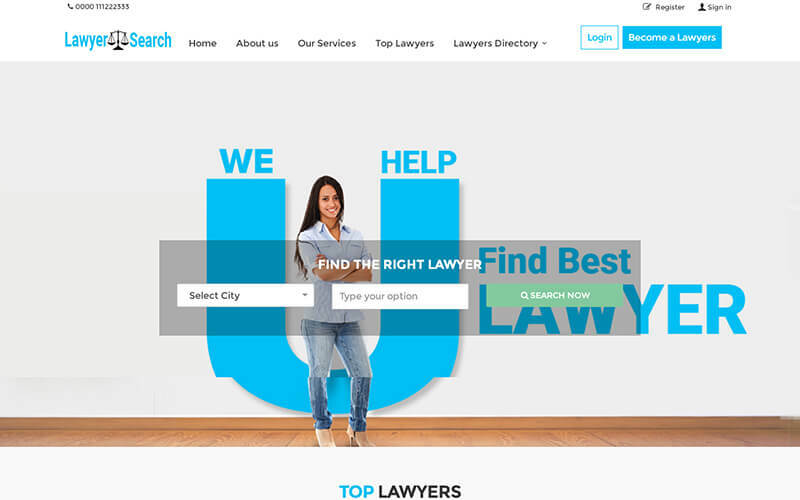 Basic and Advanced Search options, Lawyer list with clear details, Top Lawyer, Lawyer Booking, Appointments management, Location Management, Category Management, Lawyer Management, Review Management, Ad Management, User Feedback Management. As a lawyer, I love this script which makes my profession to higher standards through this script. Thank you for the development team for this remarkable work. This script which has a look of professional which attracts clients. By using it, can select any lawyers present in the database makes comfortable. Over all excellent script to use.